Running a Non-Profit Organization in our modern economy and changing generational culture can be difficult. All non-profits have noble beginnings. They were originally formed to help a group of people or to advocate for a cause, or to bring people together for a greater purpose. They all have had successful years and almost all of them have had years where they struggle. Those struggles could be in the form of difficulty raising funds or donations. They could be in the form of a lack of new members or an aging membership. Non-profits struggle too because of their mission. It may not be relevant anymore or it may be still relevant but people don’t clearly understand what the group does and therefor don’t get involved. There can also be legal challenges to non-profits. Our modern society seems to like to solve any dispute with a law suit. If non-profits are not prepared to dispute a law suit or if they did not put the proper safeguards in place at the beginning they can be in big trouble. Most non-profits are run by a well-meaning group of volunteers known as a Board of Directors. In many cases though, the people that make up the Board of Directors are experts in their own business and are on the board to help but they are not trained in the details of non-profit administration. Even if an organization has staff, they may not have the budget to provide all the training that is needed. Scott has been with the Chamber for a little over two years, but has a career that spans more than fifteen years managing non-profit organizations in three different states. He has a degree in Management and Organizational Development from Spring Arbor University and is a Certified Association Executive through the American Society of Association Executives. He is also the author of “The 5 M’s of Non- Profit Management.” He has an easy, clear approach to non-profit administration that blends industry standards and proven best practices with a creative can do attitude and passion. Non-profit administration can be difficult. 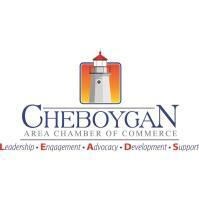 The Cheboygan Chamber wants to help make it a little easier. To register please call the Chamber office at 231-627-7183 or register on line on the Chamber web site www.cheboygan.com under the events tab.